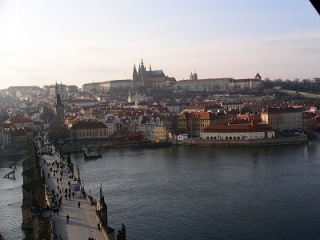 Prague is a beautiful city with a long medieval history. 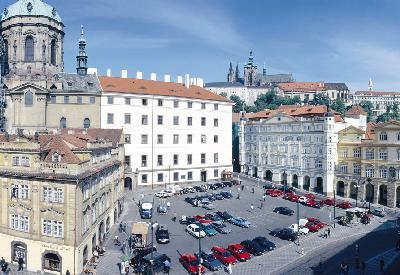 The workshop will be held at the School of Computer Science, Faculty of Mathematics and Physics, Charles University, which is located in "Mala Strana", the famous historical district of Prague. The building itself has been recently carefully renovated, reconstructing the architectural style of a Jesuit College. 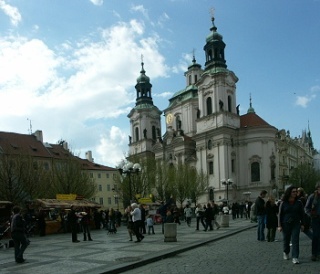 The picture on the right is taken from the lower part of the Lesser Town Square (Malostranske namesti). The school is the white building in the middle. 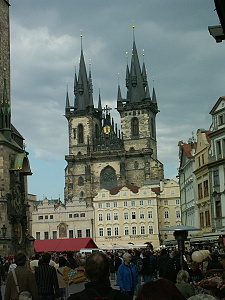 The Prague Castle on the horizon cannot be seen from the ground level. Click the image for a larger version or find the venue directly at Google Maps. 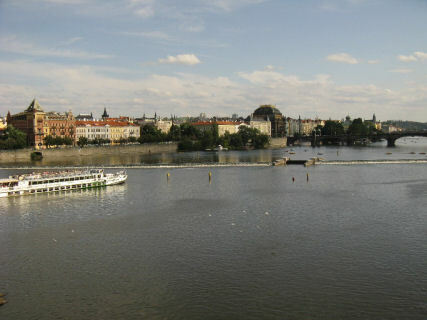 You can find the web site of the Prague airport (code PRG) here. Hlavni nadrazi (Main station): this the most probable station of your arrival. The advantage is that this station is connected with the metro station of the same name (red line). Therefore just go to Metro and follow instructions for travelling 'from anywhere in Prague' bellow. Nadrazi Holesovice: ask people for the stop of tram no. 12, take it to stop Malostranske namesti (7th stop, 15min). 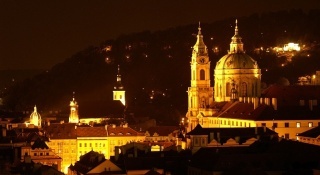 A single-transfer ticket for 75 minutes costs 26 CZK. The ticket is valid for Metro, all trams, and buses with numbers less than 300. Note that single-transfer ticket must be stamped before starting the travel, i.e., either at the entrance to the Metro station or right after entering a tram or bus (look for yellow stamp machine on a column). 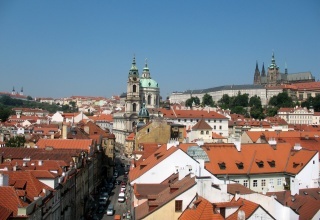 You can find all information about the Prague public transportation here.